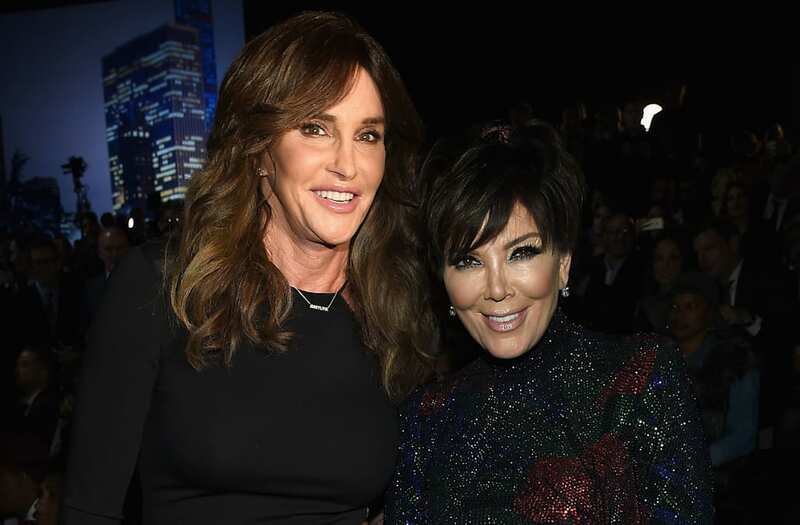 Kris Jenner and her ex, Caitlyn Jenner, aren't in agreement with who came up with the initial idea for their runaway hit show, "Keeping Up With the Kardashians." In a lengthy interview with Kris, Kourtney, Kim, Khloe, Kendall, Kylie and a slew of executives involved in the origins of the E! juggernaut, including Ryan Seacrest, The Hollywood Reporter uncovered the secrets behind the show's beginnings and its success in the decade since it premiered. Looking to replicate the success of MTV's "The Osbournes," Seacrest partnered with development executive Eliot Goldberg to film the Kardashian family for a pilot to pitch to E!, which casting director Deena Katz encouraged. "I remember Kris saying, 'In order for this to work, yes, there's a glitz and a glamour, but there's got to be honesty and vulnerability. We need to make a pact that the show won't just be pretty pictures.' As time goes by, you see some of the most vulnerable moments. There was a deliberate intent to be vulnerable and capture that from the beginning," Seacrest remembers of Kris Jenner's vision. So, all parties involved seem to agree that it was Kris that helped shape the show into what it is, along with Seacrest and the other producers. Caitlyn, who was then known as Bruce, wasn't the brainchild; but, in her 2017 memoir The Secrets of my Life, the reality star claimed to come up with the idea on her own. "The house is awash in puberty and adolescence and young adulthood and two parents with very different styles. It seems to me something is there for television, [though] Kris says she is the one who came up with the idea," Caitlyn wrote in her controversial tell-all. What does Kris think of her claims? Not much. "It's so absurd," she told THR. "I'm not sure what the motivation was for her to say something like that. Maybe somebody should remind her that it's called 'Keeping Up With the Kardashians.'" Throughout the rest of the article, the entire family reflects on the impact that their show has had on pop culture over the past 10 years. Read the full story here.